Craving pizza but not the takeout price tag or the gluten? 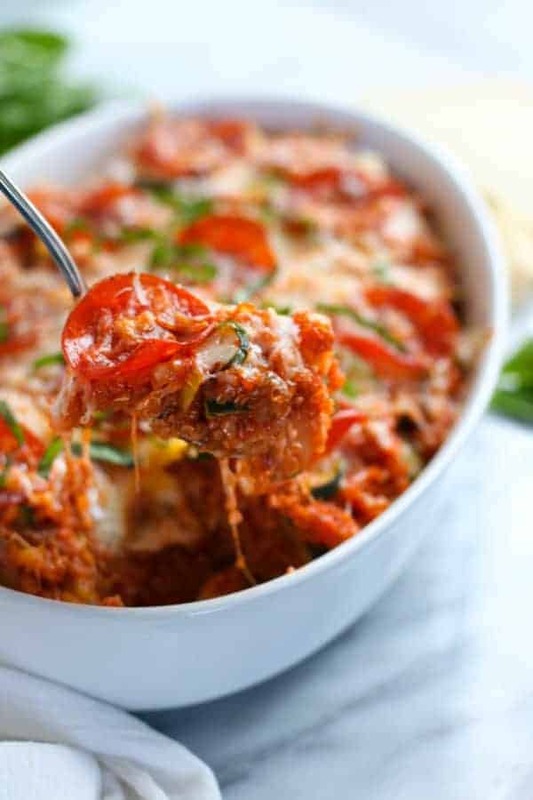 Try out Pepperoni Pizza Quinoa Bake for a healthy twist on an old favorite! There’s just something about pizza that’s so irresistible. No secrets here, I love pizza. Especially pepperoni pizza. But for years (err, decades) I told myself that I didn’t like pepperoni or even pizza, for that matter. Looking back I realize that my ‘dislike’ of pepperoni pizza was really just a lie that I’d been telling myself to make it easier to so ‘No’ to a food that was never on my diet of choice. 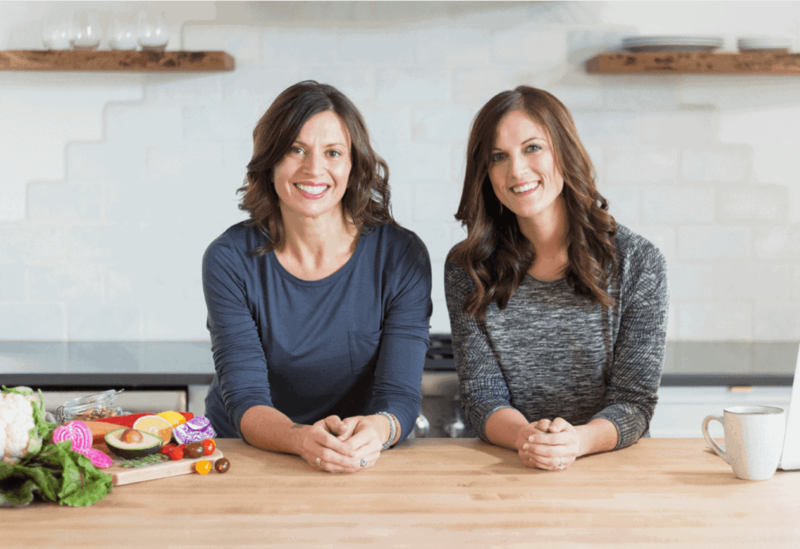 Having grown up and gone to college at the height of the low-fat-everything craze I had a serious fear of fat and that grease that would pool atop a perfectly baked pizza was something akin to napalm for this fat-phobic gal. Even smashing it between blotting it with a paper napkin wasn’t enough to justify it being a choice that wasn’t going to make me instantly gain 15 pounds. Sad, right? Nowadays, thanks to having found my food freedom, I can enjoy a slice or two of pizza with toppings galore without a shred of guilt. But only when it’s worth it because I don’t feel awesome after eating pizza. 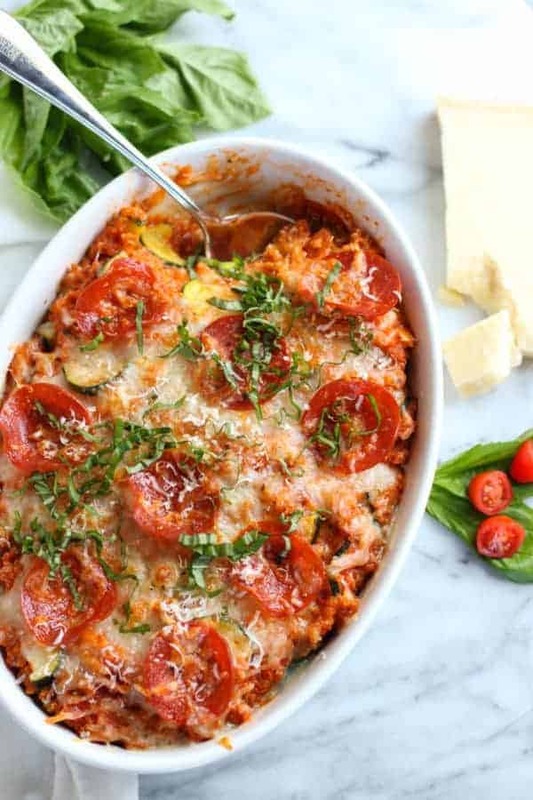 So it’s this physical love-hate (not mental or emotional because…food freedom, baby) that led me to create this Pepperoni Pizza Quinoa Bake. It has all the flavors of my favorite pizza but without gluten and with more veggies and more fiber. A win-win for sure if you’re a pizza lover like me. Assemble the dish in an oven-proof baking dish with lid then store in the fridge for up to 3 days. 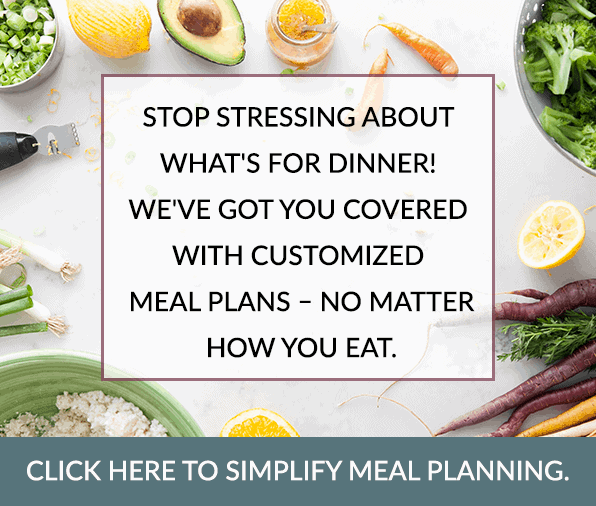 When you need an easy, no-fuss meal during the week you can just pop it in a preheated oven and let it bake while you take care of other things or make a salad. 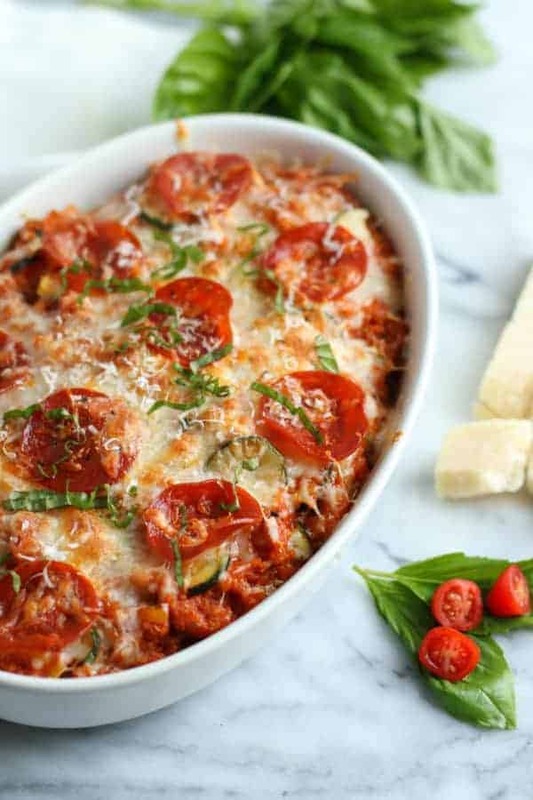 I also love that this Pepperoni Pizza Quinoa Bake is kid-friendly. Speaking of kids, if your kids don’t share your affinity for pepperoni then don’t throw the baby out with the bath water just yet. Get creative and find a way to compromise. I feel like I’m the Queen of Culinary Compromise most days having one child with a varied and somewhat adventurous palate and another with a very limited palate (<<I blame her genetics for being a ‘super taster’ not her). 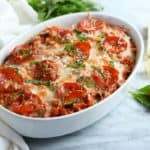 So what I often do is make this dish half pepperoni-half mild Italian sausage by setting aside half of the quinoa-veggie-sauce mixture to add sausage to before spooning it into the baking dish. Then I dot the top of the sausage side with a few pieces of sausage so it’s clear which side is which because, believe me, if you’ve ever suffered the dramatic wrath of a hungry, pepperoni-hating preteen who mistakenly dug into the wrong side of the dish you’d do the same. 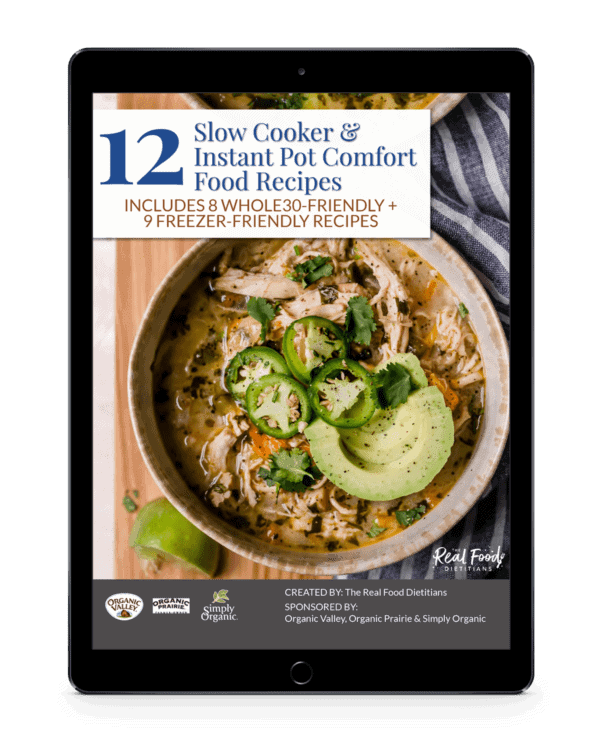 Other ways you can make this dish your own or customize it to your family’s tastes are to use the veggies you have on hand or those you know they really like. Mushrooms, eggplant and spinach are all delicious in this dish and an easy way to add more veggies. Got leftover cauliflower rice or steamed broccoli on hand? Toss that in there, too! That’s another great way to stretch your grocery buck, boost the nutrition and decrease food waste. Serve with a giant green salad or a side of sautéed greens or roasted green beans to round out the meal. And parmesan cheese. Don’t forget the parmesan cheese for your sprinkling pleasure. While quinoa is cooking, place a large skillet over medium-high heat. Add 1 Tbsp. olive oil. When oil just begins to shimmer, add onions and peppers. Saute for 5-6 minutes, stirring occasionally, until onions starts to soften. Add zucchini and garlic. Continue to cook an additional 7-8 minutes or until veggies are tender. While veggies are cooking, combine ingredients for sauce: tomato paste through black pepper, including the 2 Tbsp. of remaining olive oil. Stir until well combined, taste and adjust seasonings as desired. 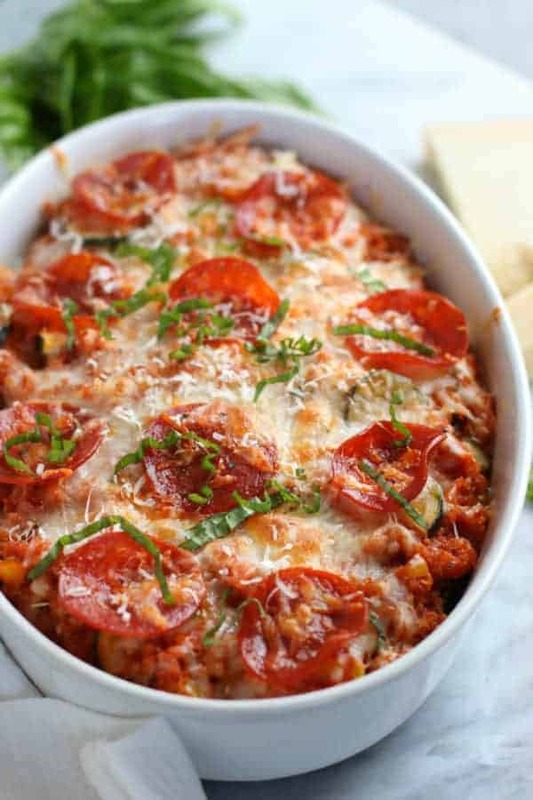 Sprinkle top of casserole with remaining ¼ cup mozzarella cheese and reserved pepperoni slices. Bake for 15 minutes or until hot throughout and cheese is bubbly on top. Garnish with fresh basil, if desired. Tell us – what are your favorite pizza toppings? Did you make this dish? If so, how did you ‘make it your own’? I see this had “freezer friendly” under the recipe name at one point. Would you freeze it after assembly and before baking, I assume? Hi Beth, yes that is correct. Freeze it prior to the 15 min baking time. Enjoy! 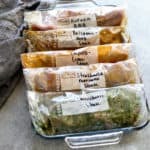 Does this recipe freeze well for leftovers? Yes, this recipe does freeze well! Another fabulous recipe and it met my need to have a pizza! Thank you. Do you think I can sub Cauliflower for the Quinoa? 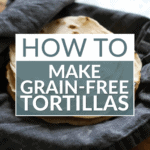 I am not doing grains at all but this looks so, so good I want to try it. I miss pizza! 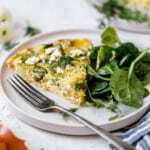 Thanks for all your great recipes I eat Paleo/W30/Keto and your recipes work great for this WOE combo which works best for my body and my weight loss need. So thanks and keep it the great tasting recipes. Hey! That’s a good question. We have not tried this recipe with cauli-rice but I’d love to know how it turns out if you give it a try. Keep us posted! Barbara did you ever try the cauliflower rice? I wanted to try and sub half for the quinoa to lessen the carbs a little. Did it work well for you?? 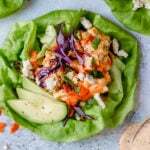 I made this recipe with cauliflower rice, and it was absolutely amazing! I couldn’t believe how tasty it was! Highly recommend! Love the idea of using cauliflower rice! Made this recipe last night and it receives Five Stars from both my fiance and myself. I had it cold for breakfast at my desk and it makes great leftovers too. I’m also excited to try different variations. 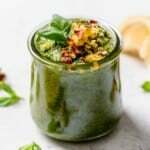 Do you use the sauce recipe with any other dishes? It was really tasty and I’m curious how else you would recommend using it. Thank you!! Thanks, Virginia! I’m so glad you loved this dish – even served cold! I use this sauce for making homemade pizzas and it also makes a nice chicken or eggplant parmesan. Yummy and easy. My husband loved it! What is the healthiest brand for turkey pepperoni? I like the Applegate Naturals Uncured Turkey Pepperoni. Do you ever use another protein in place of turkey pepperoni ? 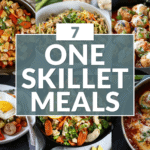 You could definitely use cooked ground beef or turkey or even Italian sausage. Do you use the remaining 2 T of olive oil in the sauce? Yes, I updated the instructions so that it’s more clear.